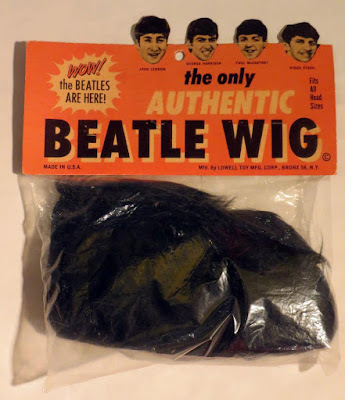 Liverpool Beatles Auction: Beatles Wig. The media seemed to be obsessed with the length of the Beatles' hair, yet it seems quite tame by modern comparisons. 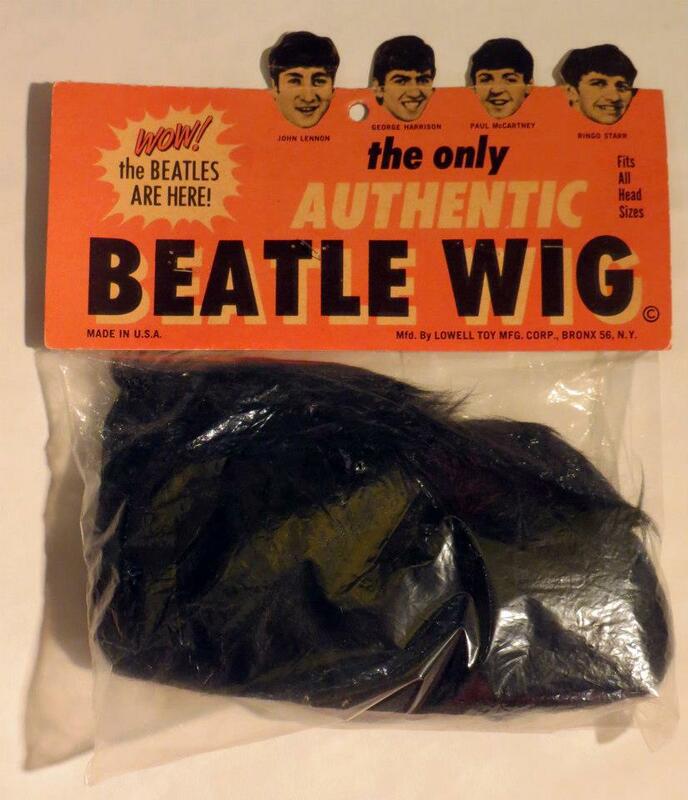 This led to various types of Beatles wig being available. This one, complete in its original packaging, was made by The Lowell Toy Mfg Group in the USA in 1964. It is being placed for sale in our auction in August with an estimate of £100-£120.